Well this is my version, and I loved they way they turned out, and they even have a taste of Cinnamon Toast Crunch too them….gotta love a good cereal. ~In a large skillet combine the sugar, cinnamon and water. 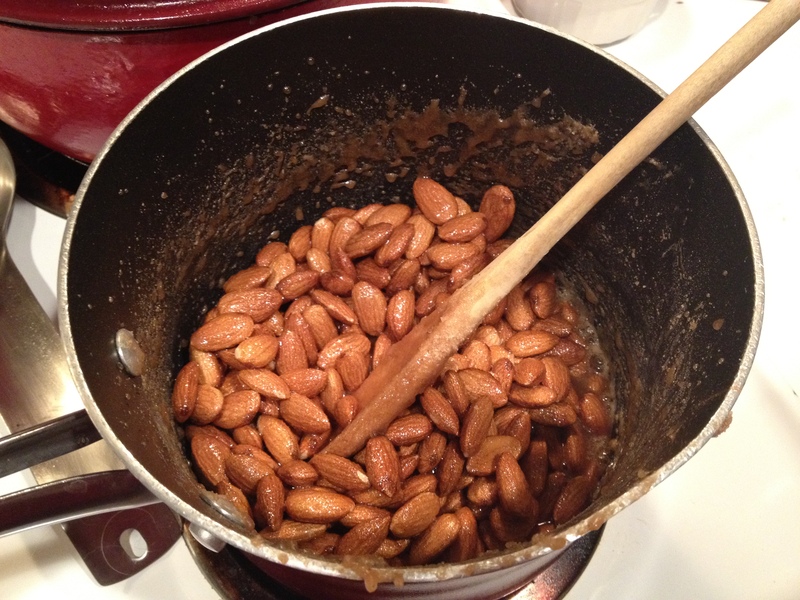 ~Add the almonds and stir constantly with a spoon over medium heat, coating the almonds with the syrupy mixture. Keep stirring until the sugar crystallizes. 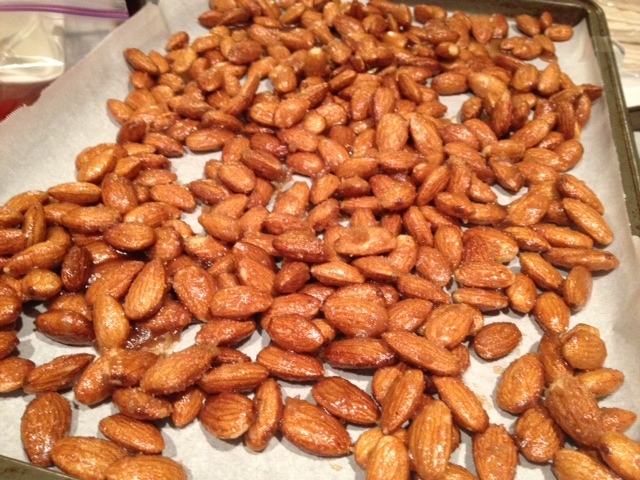 ~Remove the pan from heat and scoop the almonds onto wax or parchment paper. ~Let the cinnamon almonds cool before serving. These can be made a few days ahead. 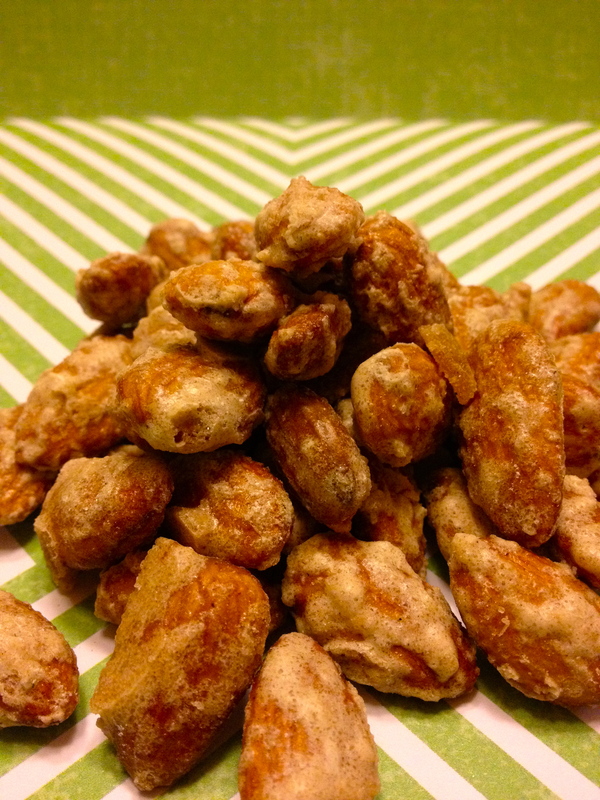 Categories: Baking, Nuts | Tags: Almonds, Cinnamon, Nuts | Permalink.